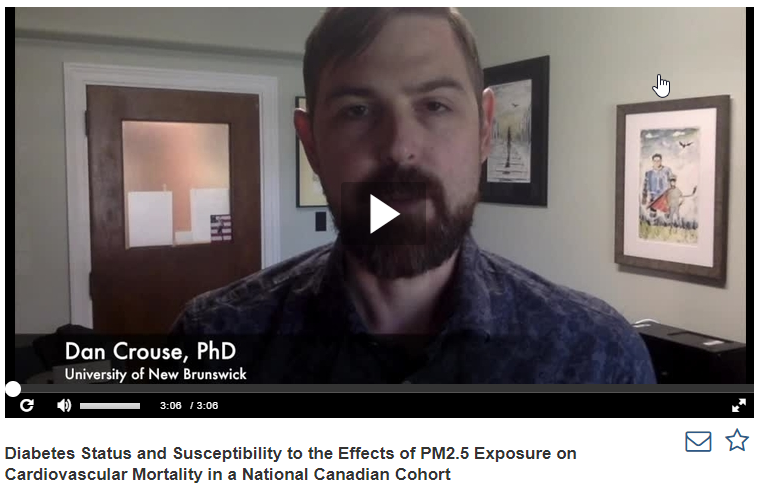 The journal Epidemiology recently interviewed study co-author and CANUE member Dan Crouse about exposure to fine particulate matter and diabetes in the Canadian Census Health and Environment Cohort. Pinault, Lauren, Michael Brauer, Daniel L. Crouse, Scott Weichenthal, Anders Erickson, Aaron van Donkelaar, Randall V. Martin et al. “Diabetes Status and Susceptibility to the Effects of PM2. 5 Exposure on Cardiovascular Mortality in a National Canadian Cohort.” Epidemiology 29, no. 6 (2018): 784-794.